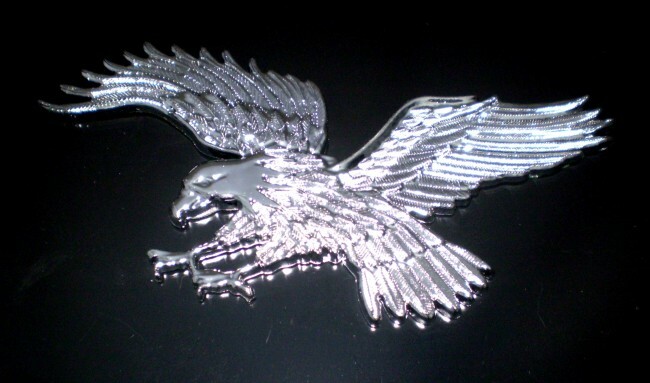 This is a superb 3d Acrylic silver chrome look Eagle emblem/Logo and can be used in Cars, 4x4s, rears spare wheel covers, dashboards, motorbikes, mirrors, show cases, walls, kitchen and bathrooms, tiles, etc. Measures 9 inches wide x 4 inches high. Comes in a sealed Blister Pack ideal for gifts!